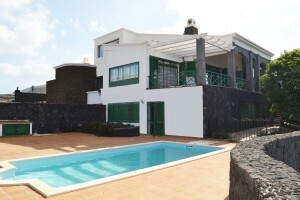 14 km from the resort of Playa Blanca located in Yaiza. The Timanfaya National Park is just a stone’s throw away. The house with its 4 bedrooms and 4 bathrooms offers the incredible architectural features. 489 m2 constructued area, remote location on three floors, with its own 250 m long driveway. The equipment of the house is comfortable, and the atmosphere cozy. It has been used a lot of wood. The living room is open to the top, the upper floor covered only the kitchen and the downstairs bedrooms. This apartment is located in the Virginia Park complex close to Dino Waterpark. 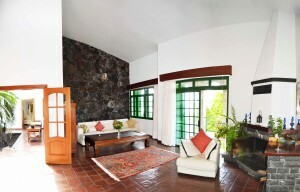 It is in super good conditions, fully furnished on a high level and ready to move in. You can use it for yourself or or as a holiday rent. From Playa Blanca it is 5 min by car or 20 min walking distance. The apartment is ready to move in.